I am thrilled to share these latest pictures I received. 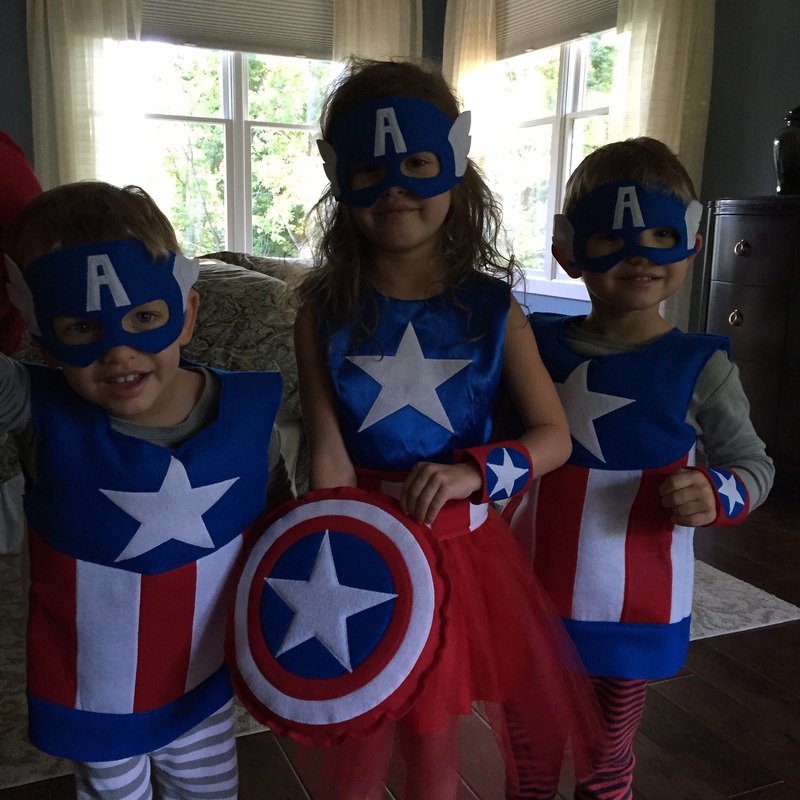 The first is from a client who wanted Captain America costumes for her kiddos. 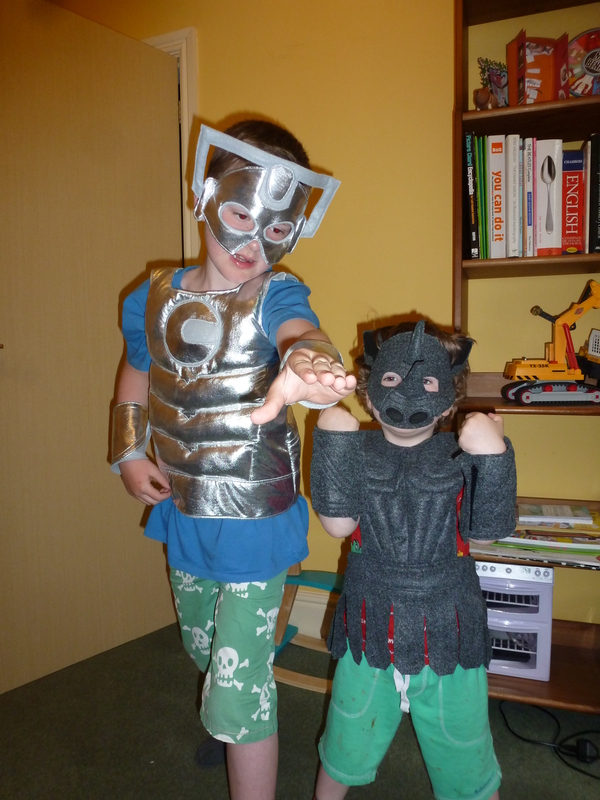 The boys costumes I have made before but the girl's costume is my latest success. It is made from a blue satin and red cotton dress adorned with a white star and a separate red tulle skirt attached to a red and white felt belt. Then I gave her the same mask, cuffs, and shield as her brothers. I love how they all turned out and am always happy to see smiling faces. Thank you heroes for all your hard work at saving the planet. 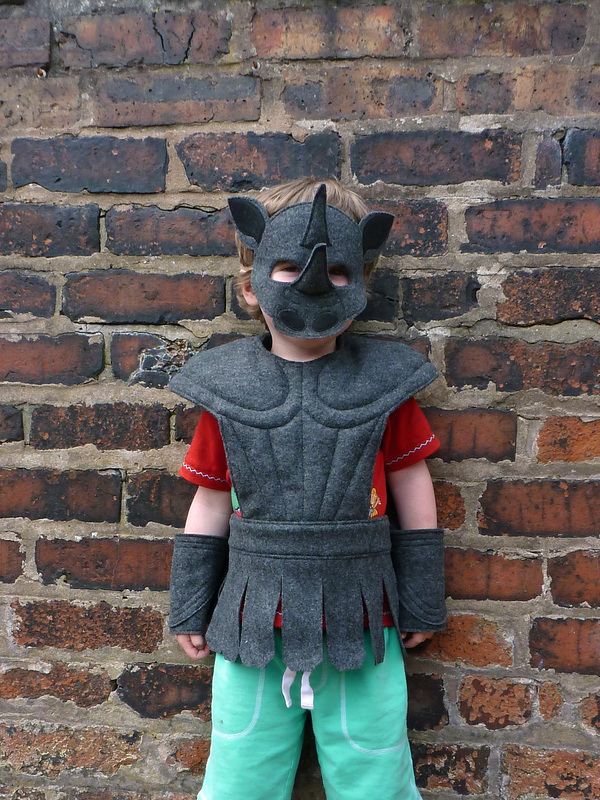 gladiator type costumes inspired by Judoon (the Rhino). Thanks to all the wonderful kids for inspiring my work, and thank you parents for allowing me the opportunity to bring a smile to their faces. Fantastic costumes. Loving the Doctor Who Characters! The Cyberman looks ready to "delete" something and the Judoon looks ready to arrest someone while saying, "co, jo, lo"! Superb.